The cultural minister of India Mahesh Sharma recently called the late APJ Abdul Kalam, the former President of India, as a “nationalist and humanist despite of being a Muslim”. The offensive statement reflected the cultural minister’s attitudes towards Muslims, namely that in general Muslims are not nationalists or humanists and that the late former President was an exception. Some would say that the late APJ Abdul Kalam was a nationalist and a humanist because he was a Muslim. The cultural minister should have known Maulana Abul Kalam Azad if not of billions of other instances of Muslims who are humanists and nationalists all over the world because they are Muslims. There are tens of thousands of Muslims who went to jail and fought for India’s independence, some like Ashfaqullah even kissed the gallows, along with other Indians belonging to all religions. In fact, the Hindu nationalists, and the Muslim League members were supporters of British imperialism. Let us examine the views of Maulana Abul Kalam Azad who has been called a Nationalist Muslim. Maulana Azad’s bitrth anniversary is on 11th November and this year – 2015 will be his 127th anniversary. Maulana Abul Kalam Azad is, by any reckoning, a major figure in the twentieth century Indian history. He was a scholar thoroughly trained in the Islamic sciences, and who dedicated his life towards mobilizing Muslims for the freedom struggle and never reconciled to partition of India. Maulana Azad was born in Mecca in 1888 and lived in Mecca till his father Maulana Muhammad Khairuddin returned to Calcutta in 1890. Maulana’s mother was an Arab woman. Azad and his brother travelled to Egypt, Turkey and Iran and he was influenced by the revolutionary struggle there for democracy and freedom in those countries. Azad started a weekly in 1912 at the age of 24 Al-Hilal to shake off the political lethargy among the Muslims and mobilize them to join the anti-colonial struggle along with other compatriots. Azad argued that for non-Muslims, joining freedom struggle might be a moral choice, but for Muslims it was their religious duty. Azad drew inspiration from the Quranic verse 17:80 “My Lord, make me enter a truthful entering, and make me go forth a truthful going forth, and grant me from Thy presence an authority to help me.” Maulana Azad was also inspired by the Quranic injunction of ‘enjoining the good and forbidding the evil’ (amr b’il ma’ruf wa’l nahy ‘an al-munkar). When Maulana Azad started Al-Hilal, Muslims weren’t as active in the freedom struggle as the members of Hindu community. Sir Syed had adviced the Muslims to keep away from politics. The religious leaders were engaged in guiding the community in religious matters and shari’a issues. The politically oriented feudal elite were befriending the colonial authorities to negotiate their share under colonial subservience and arrangements. Al-Hilal espoused the cause of Independence movement and exhorted the Muslims to join the movement. Muslims, Azad wrote, are obliged to follow the straight path (sirat al-mustaqim) and fight for freedom shoulder to shoulder with their Hindu brothers. Within a short period circulation of Al-Hilal reached 26,000 – an unprecedented fete for any Urdu daily. The demand of previous issues was such that they had to be re-printed. The Colonial Government confiscated the security deposit of Al-Hilal in 1914 under the Press Act and asked for additional Rs. 20,000/-. 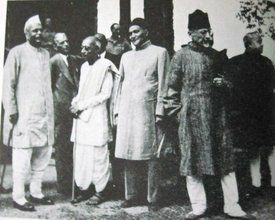 Muslims joined the Independence movement in large numbers in the non-cooperation movement launched by Gandhijiduring the period 1919-1922. The movement was an unprecedented success. The Ali Brothers also contributed to the success of the movement. Having succeeded in mobilizing the Muslims into Independence movement, Azad’s efforts were to consolidate this Hindu-Muslim unity on firm foundations of faith of Muslims as well as on the shared culture of both the communities. In his 1940 Presidential address to the Indian National Congress in Rampur, Azad said “This [immigration of Muslims onto Indian soil] led to a meeting of the culture-currents of two different races. Like the Ganga and Jumna, they flowed for a while through separate courses, but nature’s immutable law brought them together and joined them in a sangam. This fusion was a notable event in history. …Eleven hundred years of common history have enriched India with our common achievement. Our languages, our poetry, our literature, our culture, our art, our dress, our manners and customs, the innumerable happenings of our daily life, everything bears the stamp of our joint endeavour. …Our languages were different, but we grew to use a common language; our manners and customs were dissimilar, but they acted and reacted on each other, and thus produced a new synthesis. …This joint wealth is the heritage of our common nationality, and we do not want to leave it and go back to the times when this joint life had not begun. …This thousand years of our joint life has moulded us into a common nationality. …Whether we like it or not, we have now become an Indian nation, united and indivisible. No fantasy or artificial scheming to separate and divide can break this unity. We must accept the logic of fact and history, and engage ourselves in the fashioning of our future destiny. ”(Azad, 1940) In contrast and contrary to the facts, the Muslim League and Hindu nationalists were arguing that culture was based on religion and that Hindu and Muslim cultures were irreconciliable. Azad had opposed Pakistan to the best of the ability he commanded. “God’s earth cannot be divided into Pak (pure) and impure” he wrote. Azad was most pained by the partition and was never reconciled to the fact. Azad and Gandhiji were marginalized within the Congress Working Committee. “Two states in conflict with one another did not offer solution to the problems of minorities”, Azad opined, “as minorities would be vulnerable to retributions and reprisals for acts of their co-religionists in the state where they were in majority.” Azad had staked his entire political career on united India and lost. When the All India Congress Committee voted in favour of partition on 14th June 1947, Azad’s final plea was that even if the political defeat had to be accepted, the INC should try to ensure that the culture was not divided. He pleaded that even if a stick is place in the water and it divides the water temporarily, water remains undivided. Maulana Azad’s religious thoughts, as propounded in Tarjuman ul-Quran (TQ), was that din (essence, values) of all religion was the same. God in Quran 87:2 is described as creating, balancing, destining and guiding. The din that Quran provides is the universal guidance of divine revelation which is present in the world from the beginning and without difference or distinction. Azad thus develops his argument of whadat-e-din – oneness of religion. Quran states that Allah has sent 1,24,000 prophets in every place and every age but their message was always the same. However, the shari’a (laws) has been different, necessitated by differing intellectual and social conditions. Quran emphasises submission to God and righteous living. Quran counsels tolerance and guides that there is no compulsion in faith. Religious sectarianism develops on account of constant deviations from true din. According to Azad, the threefold message of Quran is: 1) Salvation depends on faith and good works, not on ritual or custom or group affiliation. 2) Revealed religion is one for all mankind and therefore there should not be sectarianism and 3) Worship of God should be direct, without any intermediary. Secularism for Azad rested on the principle of wahadat-e-din on the one hand and disregarding the intermediaries – the priestly class and institutionalization of religion. Every human has to struggle to live righteous life – enjoining the good and forbidding evil. There can be numerous guides to learn from in this struggle, but not intermediaries. Azad was not for competition in proving which religion is superior. In Quran 2:148 it is stated, “And each one hath a goal toward which he turneth; so vie with one another in good works. Wheresoever ye may be, Allah will bring you all together. Lo! Allah is Able to do all things.” Universe is permeated with mercy. The spiritual life of human beings, their beliefs and actions must also be based on mercy and love. According to Maulana Azad, mankind was divided into two – friends of God and Friends of satan. He derived support from the Qur’anic verse 41:33 “And who is better in speech than him who prayeth unto his Lord and doeth right, and saith: Lo! I am of those who are Muslims (surrender unto Him).” The friends of God were not any special group but included every true believer who has separated from satanic powers and obeys God and His Prophet. Secularism, according to Azad was not in confining religion to observances of certain rituals within home, but in religion inspiring followers to live righteous path and seeking guidance of almighty in understanding what that right path is. Therefore every human being has to struggle to become a better follower of their respective religions. 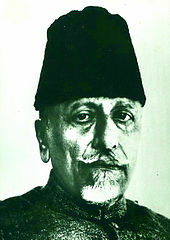 Maulana Azad wanted to codify Islamic law and reform of Islamic law, but he breathed his last on 22 February 1958 without undertaking the task. Indians should revisit life of great humans as the Maulana rather than ignoring them and carry on their work and achieve their unfinished tasks. Douglas, I. H. (1988). Abul Kalam Azad: An Intellectual and Religious Biography. Oxford University Press.